Body: Peacock Ice Dub wrapped towards front of the hook then make a shoulder of dubbing. Collar: Tie on a sparse amount of the Rubber Bass Skirts this color is Green/Pumpkin Orange. Collar: Tie in brown shlappen by tip palmer towards eye of hook. 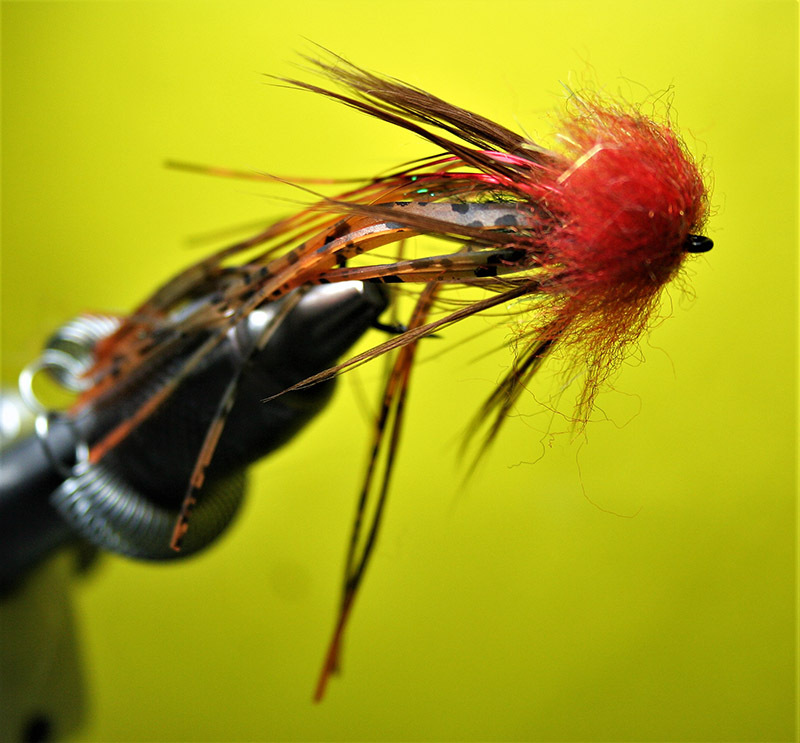 Wing: A few strands of Red Flashabou tied in behind the Sculpin Head. Head: The key part for any Sculpin pattern. Tie in a clump of Rusty Brown Senyo Laser Dub and trim to give the Sculpin head your looking for.